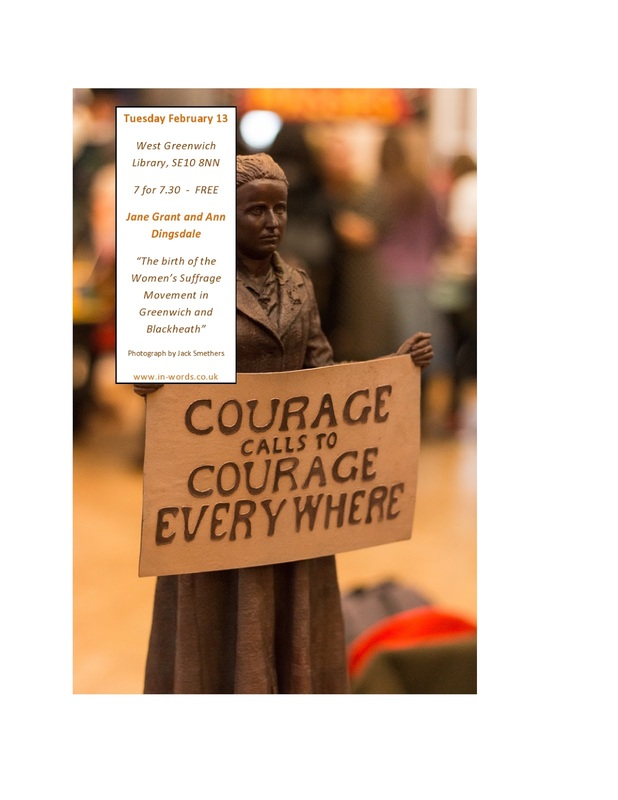 in-words at West Greenwich Library on Tuesday 13th February, the centenary of the Representation of the People Act. tell us about the walks she guides to the homes and places they frequented. will talk about the C19th and C20th struggles for women's suffrage, and her book on the Fawcett Society will be on sale. A small choir will sing some rousing songs. Free event. Come at 7pm for a 7.30 start. Finish by 9.30pm. in-words.co.uk for more details of this and other events.